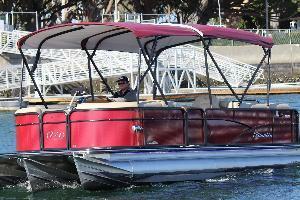 Our boat rental plans are simple, affordable and Fun! 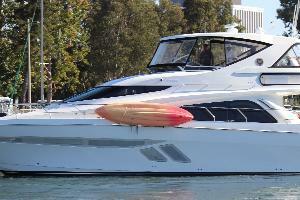 Simply log in, select your boat, show up and we handle the rest! 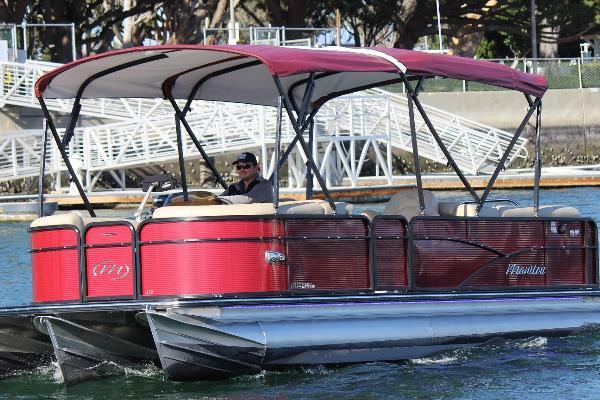 We offer packages for new boaters that includes instruction and certification designed to get you "on-the-water" and rental plans tailored to your specific needs. We are a US Powerboat course provider that has proven to be the best on-the-water powerboat instruction available and is accepted internationally. We offer several USPB courses, see you through to certification that allows you to pilot and charter boats without a licensed captain, giving you access to our fleet of pontoons and luxury yachts. 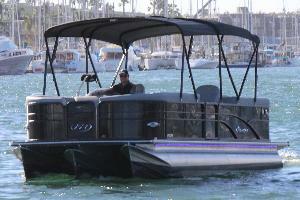 Graduates can obtain their US Powerboat Certification and California Boater Card. 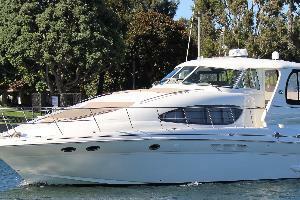 Charter includes captain services with a maximum 6 passengers. 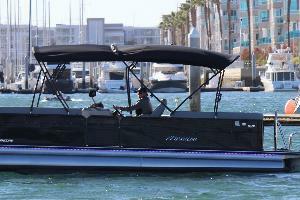 Marina tax is not included in price. 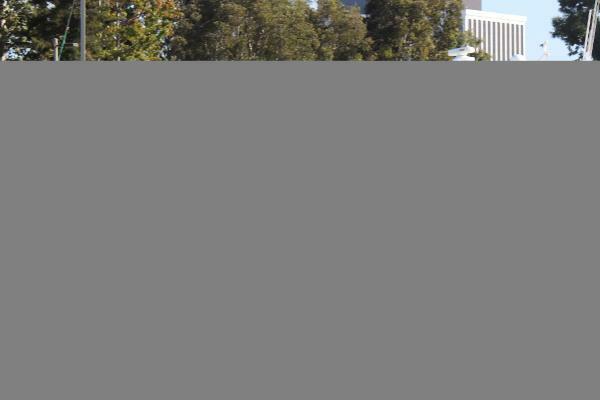 Cruise in and around Marina del Rey harbor. Average duration is 1.5 hours. 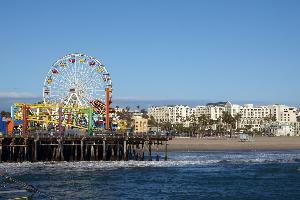 Cruise the coastline north to Santa Monica Pier. Average duration for charter is 2 hours. 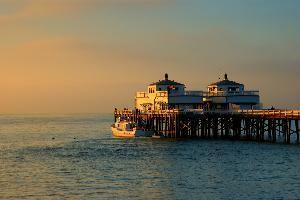 Cruise the coastline north to Malibu Pier, or south to Redondo - Palos Verdes. 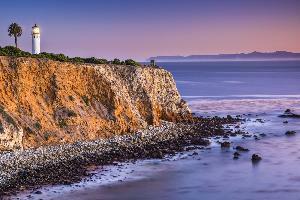 Located 18 miles north of Marina del Rey, average sea time to Paradise Cove is one hour. Charter includes captain services with a maximum 6 passengers. 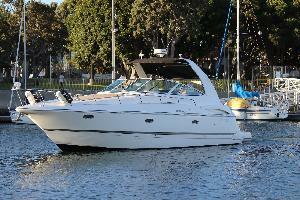 Marina tax, mooring fees and shore boat services, if used are not included in price. 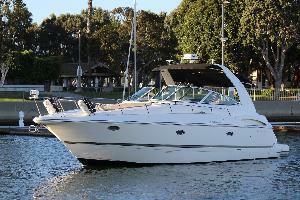 This boat is perfect for harbor cruises in the marina, and is a blast with your family and friends. 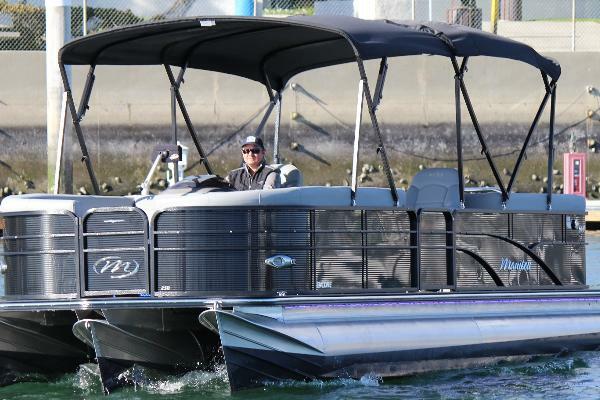 Cruisers® Yachts’ 370 Express features a sleek exterior with plenty of cockpit space and a well-thought-out layout, effectively combining above deck comfort with a sweet, performance-driven profile. 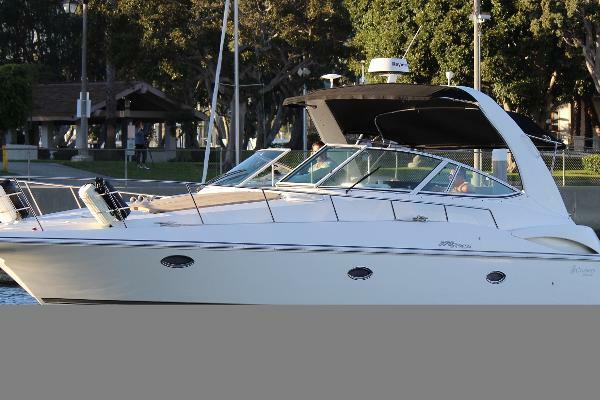 The Sea Ray 480 Motor Yacht has a sleek wind-swept profile that’s a combination of express cruiser and motor yacht with the helm station on the same level as the aft deck. The Marquis 55 has sleek curves, modern styling and is completely luxurious in every sense with an interior design that perfectly combines style that’s practical, comfortable and elegant. - This is a “bareboat charter” and does not include the services of captain or crew. Charterer is considered the owner and assumes all legal obligations, responsible for the crew, passengers carried and safe navigation of the vessel. Charter Vessel may not carry more than 12 passengers whether moored or underway, and cannot be used as a platform for events that involve consideration. The Charterer provides all food, fuel and obtain insurance. To Charter vessel, Charterer must complete training program on vessel, and/or may hire a USCG licensed captain of their choice with credentials approved by vessel insurance carrier. Charterer assumes all responsibility for civil penalties that result with failure to comply with Federal passenger vessel requirements. - If Charterer selects the add-on of a Licensed Captain provided by Yachts4Fun there is a strict limit of 6 passengers, no exceptions. Charterer assumes all responsibility for civil penalties that result with failure to comply with Federal passenger vessel requirements. - Period. 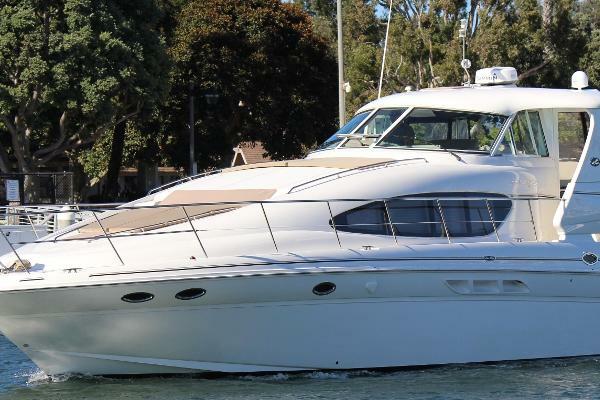 Charterer agrees to pay YACHTS4FUN on demand if said vessel is returned later than agreed upon return time, the sum of 25% of that day’s charter rate for each hour or fraction thereof it is late. -Charterer shall provide a credit card to Yachts4Fun for cleaning fees, fuel charges and marina taxes due at time of booking. All remaining costs, including additional hours over the agreement (if any), will be charged to Charterer’s credit card after the charter. - Port of Delivery; Acceptance. The vessel shall be delivered to the Charterer at the port of departure, and being on her delivery, sufficiently furnished and equipped, and in every aspect seaworthy and in good running order, condition and repair so far as the exercise of due diligence can make her. - Inspections. Charterer acknowledges that he/she has inspected the vessel and onboard equipment including but not limited to safety equipment before delivery, and that the vessel is in seaworthy condition, with any and all exceptions noted on the “Pre-cruise Report” which is incorporated herein and made apart of this agreement. The vessel shall be inspected on redelivery to determine the condition of the vessel equipment, under the terms of the charter. - Navigation Limits, Use. 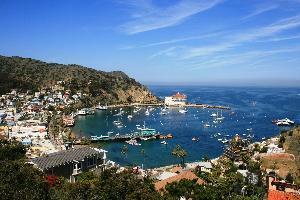 Charterer agrees to operate the vessel only in those waters of Southern California, unless otherwise agreed to in writing with YACHTS4FUN. Further, Charterer acknowledges that these boundaries are familiar to him/her and will not allow anyone to take charge of the Yacht except for a Licensed Captain approved by the vessel insurance carrier, and Charterer agrees not to use said vessel for transportation of persons or property for hire, express or implied and not operate said vessel with more than twelve (12) passengers aboard. - Redelivery. 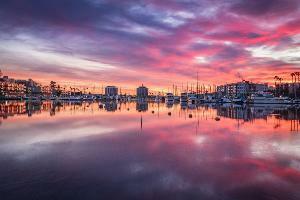 At the expiration of the Charter and redelivery of the Yacht to the Marina, the Yacht shall be in the same or as good order and condition as that in which she was when delivered, ordinary wear and tear excepted and the exterior and hull shall be washed with fresh water, holding tanks emptied, and fuel and fresh water tanks filled. 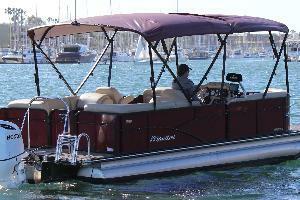 Charterer agrees not to leave any personal possessions or anything accumulated in or on the Yacht. Charterer agrees to notify YACHTS4FUN immediately of any serious damage or loss of the Yacht and shall not abandon the Yacht as a constructive total loss. - Insurance Deductible. Charterer is responsible for the vessels marine insurance deductible in the event of an accident, even if no claim is filed with the insurance carrier. Further, Charterer acknowledges that should a loss occur while anyone on the Yacht is participating in any illegal activity, the Charterer is fully responsible for all losses relating to liability and/or property damage claims. - Limitations on Use. Charterer shall accept full responsibility for all their guests on the Yacht, and to carry any particular safety equipment needed for those guests on the Yacht. Charterer agrees not to make any alterations, improvements or additions to the Yacht, nor change any locks nor make any keys for any lock on the Yacht. Charterer agrees that animals shall not be allowed on the Yacht; Charterer shall operate the Yacht prudently and observe all safety precautions. - In consideration of being allowed to charter a yacht or vessel from Yachts4Fun, Windward Yacht Center, I’M Alright LLC., Something Big LLC., Yachts 4 Share, LLC., its agents, owners, officers, skippers, crewmen, helmsmen, volunteers, participants, parent, sister or subsidiary corporations, employees, sales agents, booking agents, boat owners, sponsors, subcontractors and all other persons or entities acting in any capacity on their behalf (hereinafter collectively as the “Vessel Owners and Charter Company”), I hereby agree to release and discharge VESSEL OWNERS AND CHARTER COMPANY on behalf of myself, my parents, my heirs, assigns, personal representative and estate. - Personal Skill & Insurance I certify on behalf of myself and any of the children for which I am responsible that I/we have sufficient skill and fitness to participate in the charter activities offered by VESSEL OWNERS AND CHARTER COMPANY I further certify that I/we have no medical, mental or physical conditions which could interfere with my/our safety or ability to participate in these activities, or else I/we are willing to assume and bear the cost of all risks that may be created, directly or indirectly, by any such condition. I/we further certify that I/we have adequate insurance to cover any injury, damage or emergency transportation or search and rescue costs I/we may cause or suffer while participating, or else agree to bear the costs of such injury, damage or emergency transportation costs ourselves. I/we also agree to bear the costs of any damage or groundings we may cause to the vessel being chartered. - I acknowledge for myself and any of the children for which I am responsible that if anyone is hurt or property is damaged during my participation in this activity, I/we may be found by a court of law to have waived my/our right to maintain a lawsuit against VESSEL OWNERS AND CHARTER COMPANY on the basis of any claim from which I/we have released them herein. - Training Requirements. Participant acknowledges that he/she has reviewed the course requirements and will follow all Start-up and Operational Checklist procedures. Participant understands that it may take additional lessons to successfully complete the training program and to pass the required exams to be eligible to charter the vessel. The Participant is not obligated to complete the entire course, and may end the instruction at any time. Student shall provide credit card information to Yachts4Fun for certification, course materials, fuel charges and marina taxes at time of booking. - Acknowledgements: I ACKNOWLEDGE, agree, and represent that I understand the nature of boating Activities and that I am qualified, in good health, and in proper physical condition to participate in such Activity. I further agree and warrant that I have been given a SAFETY BRIEFING and know where and HOW TO USE ALL LIFE SAFETY EQUIPMENT ONBOARD THIS VESSEL, and if at any time I believe conditions to be unsafe, I will immediately discontinue further participation in the Activity. I FULLY UNDERSTAND that: (a) BOATING ACTIVITIES INVOLVE RISKS AND DANGERS; (b) These risks and dangers may be caused by my own actions or inactions, the actions or inactions of others participating in the Activity, the condition in which the Activity takes place, or THE NEGLIGENCE OF THE “RELEASEES” NAMED BELOW; (c) there may be OTHER RISKS AND SOCIAL AND ECONOMIC LOSSES either not known to me or not readily foreseeable at this time; and I FULLY ACCEPT AND ASSUME ALL SUCH RISKS AND ALL RESPONSIBILITY FOR LOSSES, COSTS AND DAMAGES I incur as a result of my participation or that of a minor in the Activity. I HEREBY RELEASE, DISCHARGE, AND CONVENANT NOT TO SUE YACHTS4FUN and their respective administrators, directors, agents, officers, members, volunteers, and employees, other participants, any sponsors, advertisers, and, if applicable, owners and lesser of premises and vessels on which the Activity takes place, (each considered one of the “RELEASEES” herein) FROM ALL LIABILITY, CLAIMS, LOSSES, DEMANDS OR DAMAGES ON MY ACCOUNT CAUSED OR ALLEGED TO BE CAUSED IN WHOLE OR IN PART BY THE NEGLIGENCE OF THE “RELEASEES” OR OTHERWISE, INCLUDING NEGLIGENT RESCUE OPERATIONS; AND I FURTHER AGREE that if, despite this RELEASE AND WAIVER OF LIABILITY, ASSUMPTION OR RISK, AND INDEMNITY AGREEMENT I, or anyone on my behalf, makes a claim against any of the Releasees, I WILL INDEMNIFY, SAVE AND HOLD HARMLESS EACH OF THE RELEASEES from any litigation expenses, attorney fees, loss, liability, damage, or cost which any may incur as the result of such claim. I HAVE READ THIS AGREEMENT, FULLY UNDERSTAND ITS TERMS, UNDERSTAND THAT I HAVE SIGNED IT FREELY AND WITHOUT INDUCEMENT OR ASSURANCE OF ANY NATURE AND INTEND IT TO BE A COMPLETE AND UNCONDITIONAL RELEASE OF ALL LIABILITY TO THE GREATEST EXTENT ALLOWED BY LAW AND AGREE THAT IF ANY PORTION OF THIS AGREEMENT IS HELD TO BE INVALID THE BALANCE, NOTWITHSTANDING, SHALL CONTINUE IN FULL FORCE AND EFFECT. I have read the terms and agreements set forth in this Agreement, as well as, all terms and conditions specified on this signature page and agree that I am a party to this agreement.